It’s that time of the year when going to the car wash is, well, inevitable. The dilemma of having to choose the right one for washing your car shouldn’t be one. Personally, my most favourite is the ‘touchless’ car wash. I’ve tried them all but I always find myself going back to this type of car wash to get the job done. 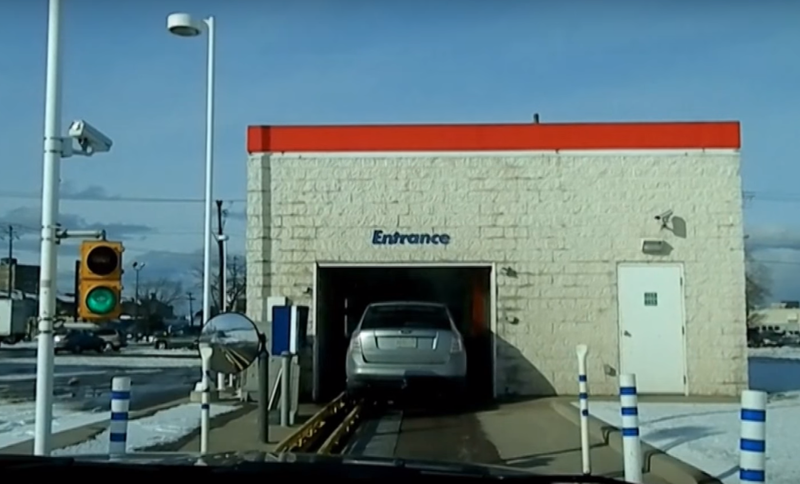 Self-serve car wash. You know the ones. We’ve all been to them at least ONCE in our lifetime – especially when broke. This type of car wash is a simple one which is basically coin-operated. The newer self-service car washes offer the ability to pay with credit cards. Either way, you come out wetter than you entered. You park your car inside a large covered bay that is equipped with a trigger gun, a wand (a high-pressure sprayer) and a scrub foam-brush, (usually one out of the 3 is not working right or at all). After inserting your money, you can choose options such as soap, tire cleaner, wax or clear water rinse, all dispensed from the sprayer, or scrub the vehicle with the foam-brush. After inserting your coin(s), you start washing like a bat-out-of-hell, before the time runs out. (Can you tell this is my least favourite type of car wash yet?) Half the time, after the car has dried, I’ve noticed spots I’ve missed all over. Hand car wash. No, I don’t mean the ones where you wash your car in your driveway with your own hands – I mean the ones where you get others’ hands to do it for you. If you want to feel rich, or you ARE rich, this is the place for you. At these car washes, employees come out from nowhere to detail your car in every area. The one I went to a few years back had a few guys on the outside washing down the car, then a guy wiping down the interior of the car, another one vacuuming the inside, and one wiping the tire and rims… all in succession as if my car was going through a production line. The results were great but I couldn’t afford to do thison a regular basis. Touchless car wash. Now we’re talking. Other than the fact that going through a touchless car wash means no brushes touching your car hence no paint damage, the other reason I love these types of car washes is that there is no having to line up the wheel, there’s no having to get out of the car, it’s not as expensive as the hand washes and the end result is a clean and shiny car ALL OVER! Especially if you get the ‘deluxe’ package. A touchless car wash uses a high water pressure system to clean vehicles and with the combination of this pressure plus water quality, water temperature, chemistry and timing the result is a clean looking vehicle from top to bottom that you don’t have to fuss with. Then there’s your bikini car wash – but that’s a whole other post altogether. The type of car wash you use depends on many factors such as what you can afford, what’s easiest for you to use, what results are you looking for, (maybe you just want to wash the salt off), or even what’s the closest to your home. In the end, it’s your choice – your money. Yes, it’s finally over, and after getting up in the ungodly hours of 7am on a Sunday morning, (uhm, not me, just the rest of Canada), to watch the game, the partying has just begun and the memories… well, they’ll be going on forever. And from a non-hockey sports fan point of view, this was another great moment in time when waking up to hear “We won the game 3-0”, made me all giddy and wanting to rewind, relive and research the moment over and over again. All teams gave it their best, I even thought the Americans played great, (from the bits I’ve managed to watch here and there), but who the hell am I and what the hell do I know about hockey? In the end, somebody had to win and that happened to be CANADA – YAY!! 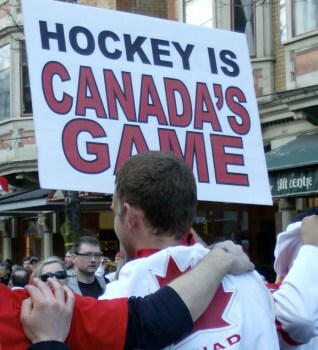 Now hockey will be even more embedded into Canada’s identity as a nation. When it’s all said and done, Canada won not because of pure luck or good timing but because of an amazing show of solid team work with, (as one site puts it), a ferocious commitment to defense and discipline. The 24-hour Challenge for Matt Risi. I wouldn’t have believed it if I hadn’t seen it with my own eyes. These guys pulled off the impossible for almost an hour in chilly temps – and all for a great cause! Benjamin is a fascinating little creature to watch. He’s about 10 months old and his food of choice is cat food! Owner, 17-year-old, Courtney has had him for almost a year and said he is very shy. Shy indeed. 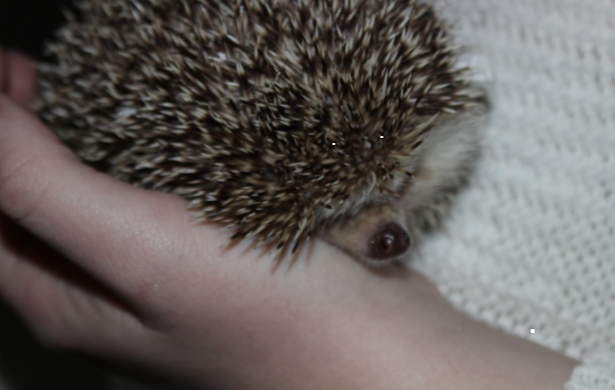 He was always tucking himself in whenever I got close with my camera. Eventually, I realized the best way to truly capture the habit of this little fella was by video taping him! 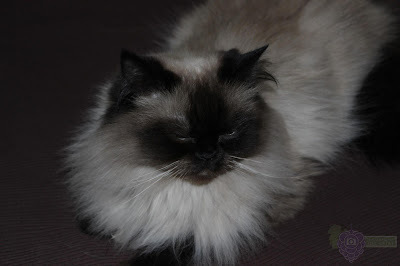 Molly is a blue-pointed RAGDOLL** breed. These types of Ragdoll breeds have color darkening at the extremities such as their nose, ears, tail, and paws as can be seen with Molly. Developed by American breeder Ann Baker, these breeds are also best known for their docile and affectionate nature. “But not this one”, said Tracy with a quirky smile. “She will take your hand off if you’re not careful!” Well, maybe so, but on this day she was picture perfect for me! **The name Ragdoll is derived from the tendency of individuals from the original breeding stock to go limp and relaxed when picked up. Matthew Risi has worsening chronic Lyme disease symptoms and needs your help. His mother started a fundraising even in the effort of raising money to fund treatment at the Sponaugle Wellness Institute in Florida. They’ve raised almost $18,000.0o so far. 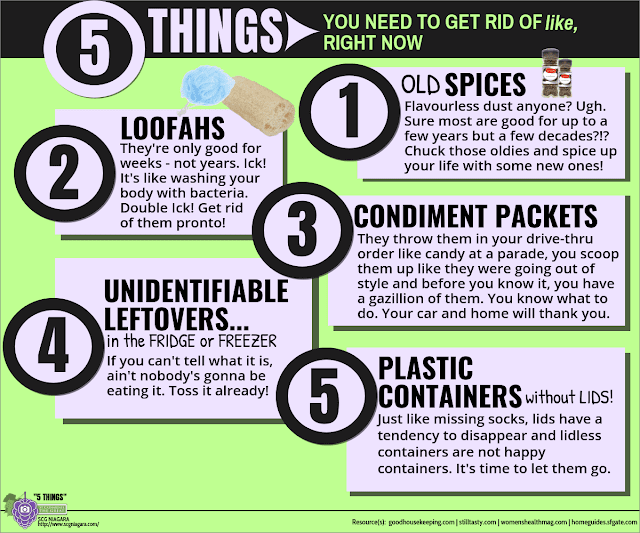 To help them out in their cause, visit the website here. 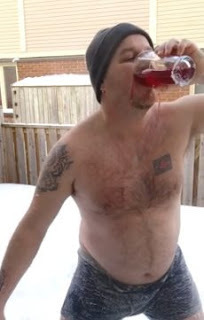 The 24 hour challenge is just that – once nominated, you have 24 hours to upload a video of you doing something outlandish in your gitch(just underwear, no socks,no shoes, nothing), outside in the sub-zero cold. After your stunt, you must immediately thank whoever nominated you for the nomination, nominate 3 people and tell them they have 24 hours to complete the challenge. Lastly, you must chug a beer. Have Fun with it. We do not condone Dangerous Behaviour! They have great ones on their Facebook page but check out some of these videos I was able to find on Youtube of these crazy canucks helping out a great cause! 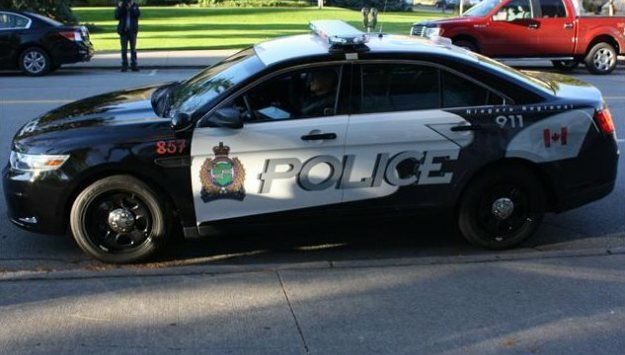 In keeping up with modern times, logo rebranding is just one of the ways the Niagara Regional Police will be updating their cruisers. They are going black and white. 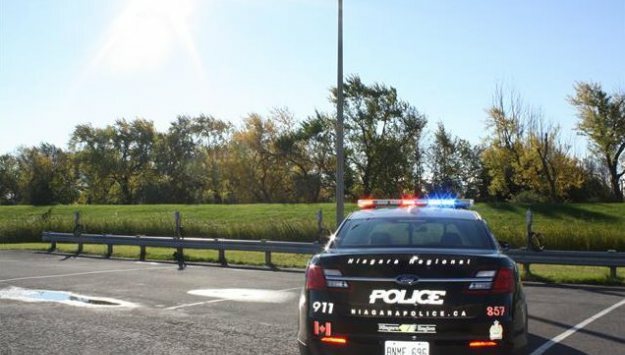 The old, familiar blue and white cruisers have been around for over 40 years according the Niagara Falls Review, so we guess that means it’s time for an ‘upgrade’!